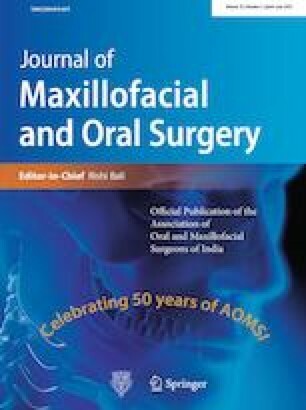 To study the effect of mandibulectomy with soft tissue reconstruction on quality of life (QOL) and functions of speech and swallowing. Quality of life of 66 patients was evaluated by using EORTC QLQ-C30 and EORTC-HN35 questionnaires. Speech was evaluated objectively by Dr. Speech software version 4 and subjectively by a single speech therapist along with swallowing. Patients were evaluated preoperatively and 6 months after treatment. Out of 66 patients, 57 followed up postoperatively. Comparison of preoperative and postoperative QOL, speech, and swallowing was done by using paired ‘t’ test or Wilcoxon signed-rank test as per distribution. When evaluated by EORTC QLQ-C30 and EORTC-HN35, statistically significant difference was found in the domains of physical function, fatigue, nausea-vomiting, dyspnea and appetite loss, pain, nutrition, swallowing speech and dry mouth. Significant difference was found in speech (maximum intensity) and most of the domains of swallowing. In EORTC QLQ-C30 questionnaire, all functional scales showed deterioration with maximum in physical function. Symptom scales showed worsening but significant improvement was found in pain when evaluated by EORTC-HN35. However, the global health status/QL was found to be improved marginally. For this study authors have not received any funding. All procedures performed in this study, involving human participants were in accordance with the ethical standards of the institutional research committee and with the 1964 Declaration of Helsinki and its later amendments or comparable ethical standards.